This beautiful blouse is made of wonderful combination of square motifs, fan patterns and lace. 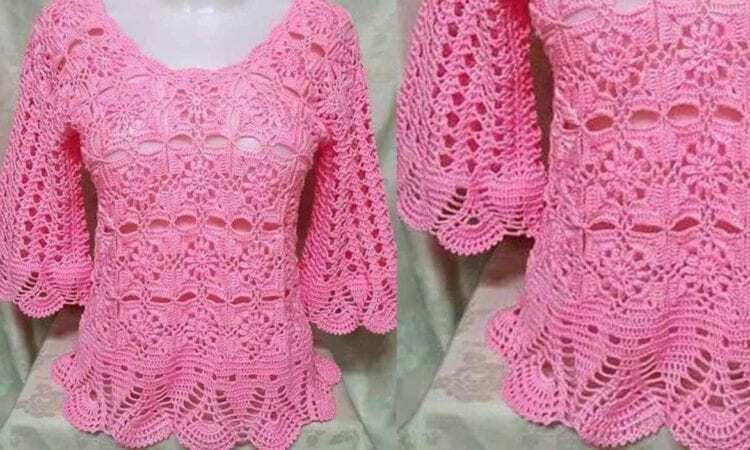 Pattern consist from few crocheted parts consist from repeatable motives. All parts are knitted together at the end. To download this pattern join us >>>> on Facebook.